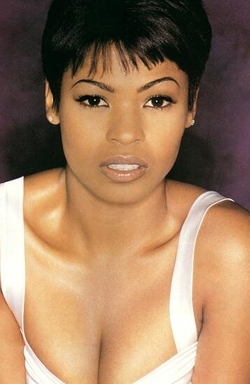 Nia Long is an American actress. She is best known for her roles in the television series The Fresh Prince of Bel-Air and Third Watch, and the films In Too Deep, Boyz n the Hood, Boiler Room, Soul Food, Love Jones, The Best Man, Big Momma's House, and Are We There Yet?. Long was born in Brooklyn, New York, to Talita, a teacher and printmaker, and Doughtry "Doc" Long, a high school teacher and poet. Her family is of Afro-Trinidadian descent.Her name, Nia, is one of the seven days of Kwanzaa, which means purpose in Swahili. Long was only two years old when her parents were divorced. She moved to Iowa City, Iowa, where her mother studied fine arts. Long subsequently moved to a South Los Angeles neighborhood when she was seven years old, where her mother was supposed to get married. The wedding was called off, but Talita had fallen in love with L.A. and they stayed. Long's father currently resides in Trenton, New Jersey. Long attended the Roman Catholic school St. Mary's Academy and studied ballet, tap, jazz, gymnastics, guitar, and acting. She graduated from Westchester High School in 1989. Long's acting coach was Betty Bridges, better known as the mother of Diff'rent Strokes star Todd Bridges. Her earliest role was in the Disney television movie, The B.R.A.T Patrol alongside Sean Astin, Tim Thomerson and Brian Keith. Her first notable role on television was a three-year contract role as Kathryn "Kat" Speakes on the soap opera Guiding Light. Long portrayed Kat from 1991 to 1994. From 1994 - 1995, she played Will Smith's girlfriend and fiancée Beulah "Lisa" Wilkes on The Fresh Prince of Bel-Air. Jada Pinkett-Smith was originally supposed to play Lisa, but was too short for the role (opposite a 6'2" Will Smith), thus leaving Nia to take the part. In 2003, she joined the cast of the drama Third Watch, where she played NYPD Officer Sasha Monroe, continuing until the series finale in 2005. In 2005 and 2006, Long appeared on Everwood, and appeared on Boston Legal during its 2006-2007 season. Long also starred in Big Shots from 2007-2008 alongside Michael Vartan and Dylan McDermott. Long appeared in supporting roles in a number of movies such as Boyz n the Hood, Friday, and Made in America. Long played a leading role, or a member of the primary ensemble, in several films, including Soul Food, Love Jones, Boiler Room, Big Momma's House, Are We There Yet?, and The Best Man. Ice Cube has starred with her in four films, while (fellow Westchester High alum) Regina King has starred with her in two. Long starred alongside Michael Beach in Soul Food and in the TV series Third Watch. Long appears in the video for Kanye West's "Touch the Sky". She directed Yolanda Adams's music video for "This Too Shall Pass". She won a NAACP Image Award for Outstanding Actress in a Drama Series in 2004 for her performance on Third Watch. Long co-directed and appeared in Ashanti's music video, "Baby". She also made a guest appearance on the successful sitcom Living Single during its first season. Long has a son, Massai Zhivago Dorsey II, born on November 26, 2000. With regard to being a working mother, Long says "she is up for the challenge so long as it does not require disturbing her family's well-being". "If I’m gonna hustle, I want to hustle in one place... I uprooted everything, moved to New York for two years, moved back and it was great but I really am enjoying the stability." Nia Long gave birth to her second child, a boy named Kez Sunday Udoka on November 7, 2011. The baby's father is Long's boyfriend NBA Basketball player Ime Udoka.